No more belly fat, get ready for the ab show. 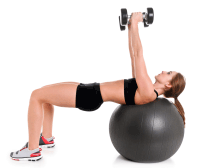 Know how to lose belly fat naturally. Belly fat or the fat around your gut is the most difficult to lose. Need a confirmation, ask anyone who is trying to get rid of that gut. Usually estimated by measuring the circumference around your waist, 40 inches and above for men and 35 inches and more for women, this apple shape is symptomatic of syndrome X, a metabolic disorder and puts you at increased risk of diabetes and some type of cancers. Agreed, it's difficult to burn the abdominal fat, but these 5 research-proven steps to lose belly fat will be of great help and they are not that difficult to do either. You only need to ensure that you have made certain lifestyle tweaks and included a few foods and you are all set to lose your belly fat faster. Steady state cardio involves any aerobic exercise, like jogging/walking, running, biking, hiking, swimming or dancing that keeps you heart rate up at a relatively stable level for at least 10 minutes. It is recommended that you get at least 150 minutes of aerobic activity each week (30 minutes five days a week) to reduce stomach fat. American College of Sports Medicine recommends 30 minutes or more of physical activity, preferably all days of the week. Evidence: A 2009 study published in Metabolic Syndrome and Related Disorders found that abdominal fat responded positively to high-intensity cardio that raised the heart rate to 75 percent or more of their Maximum Heart Rate. Such an intense activity resulted in burning 1000 calories in a week. Continuing the activity for 12 weeks resulted in significant loss of visceral fat. On cardio, the other question that usually surfaces is whether it should be done in a fasted state? After an overnight fast, the body is keen to store its precious carb stores and wants to mobilise fat and proteins for fuel. If muscle building is your goal, fasted cardio is not for you, but you can easily overcome the flaw of muscle loss by consuming a whey protein shake, along with some slow digesting protein, like casein after your cardio. Evidence: Research study published in the 'British Journal of Nutrition' reports that doing cardio in a fasted state allowed subjects to burn 20 percent more fat. Sugar is a combination of glucose, fructose and can only be metabolised in the liver, in any significant amount. Research studies go on to prove that the overload of refined sugar converts fructose into fat and is primarily responsible for the accumulation of belly fat. Moreover, excess sugar also leads to insulin resistance, a precursor to diabetes. Learn to limit your sugar intake to 25g in a day. Evidence: A 2016 study, published in journal Circulation confirms the fact that sugary beverages are directly linked to deep belly fat. The six-year-long study evaluated the impact of one sugar-sweetened drink in a day on the abdominal fat of 1000 adults. Though the study is not the first to confirm the suspected link, but it certainly proves the mechanism of fat gain beyond doubt. At the outset, 13 percent of the study group said they drank at least one sugar-sweetened beverage every day. And on average, those men and women showed the greatest increase in visceral fat over the next six years, which was validated by CT scans. Fiber or roughage helps you to stay regular. Beyond the obvious, did you know that fiber will help you lose belly fat naturally? Here, insoluble fiber has a greater role to play. This kind of fiber absorbs water and turns into gel-like-mush that slows the movement of food through your stomach and small bowel. By prolonging the transit time of foods in intestines, soluble fiber increases your feeling of fullness and reduces appetite. The foods that are good sources of soluble fiber are oatmeal, beans and apples. Evidence: A five-year-long study examines the impact of 10g of soluble fiber per day on belly fat. It led to 3.7% reduction in the belly fat. Eating a protein-rich meal helps lose belly fat faster than high glycemic carbs. High glycemic carbs are those foods that digest quickly, like a white bread with jelly, a fruit cake. When you exchange such foods for proteins, like paneer cubes, sprouts, boiled eggs, protein shake or roasted chicken, you are going to feel full for a longer duration. As compared to, high glycemic carbs, these foods are going to take a longer duration to digest and you are not going to feel hungrier that often. Evidence: When you increase your protein intake from 15 to 30 percent your total calorie consumption goes down by approximately 441 calories in a day. This is mostly due to a drop in the hunger hormone ghrelin and a rise in the fullness hormones. You are caught in a 'fat cycle' as the constant flow of hunger hormones makes you impossible to resist cravings. One of the quick ways to burn belly fat fast is to include in your meals specific protein foods like milk, nuts and fish. These foods are not only enriched with proteins but also with calcium and omega 3 fats. Specifically, these foods help correct nutritional errors and correct your bodies? ?inner eat-and-sleep clocks? that have been thrown out of sync and help you lose your gut. Evidence: A 2010 research study at the University of Alabama at Birmingham found that 100 milligrams of additional calcium, derived from 1/2 cup of frozen yogurt lead to losing an inch of intra-abdominal fat. Nuts are a good source of magnesium, without enough magnesium in your body, your melatonin level is thrown out of sync and it disturbs your sleep cycle, as well as it makes you vulnerable to carb craving, a condition brought by the low light of winter. Fish is not a good source of protein but also heart healthy omega 3 fats. A deficiency of omega 3 fats disrupts your sleep cycle and makes you prone to tossing and turning in the bed. If you are a vegetarian then flax seeds, walnuts and dark leafy greens are your best bet as omega 3 sources. On your journey to burn the abdominal fat, you have to remain patient and put twin strategies at work simultaneously: dietary tweaks and cardio. When combined together, these two will lead you to the fastest way to lose belly fat. Gear up and get rid of that mum-tum or family pack. The world is waiting for your ab-show. 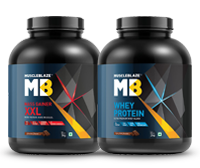 Be the first to receive exciting news, features and special offers from MuscleBlaze. Get ready for just released articles and money saving deals. Did you know BCAAs can help you burn belly fat and attain a toned midriff? Find out now. Do men lose weight faster than women? Find the facts of weight loss: men versus women and decide for yourself. Disclaimer:All MuscleBlaze products are manufactured at FSSAI approved manufacturing facilities and are not intended to diagnose, treat, cure, or prevent any disease. Please read product packaging carefully prior to purchase and use.The information/articles on Muscleblaze (www.muscleblaze.com or subdomains) is provided for informational purpose only and is not meant to substitute for the advice provided by your doctor or other healthcare professional. These statements are not ratified by any government agency and are for general guidance only. 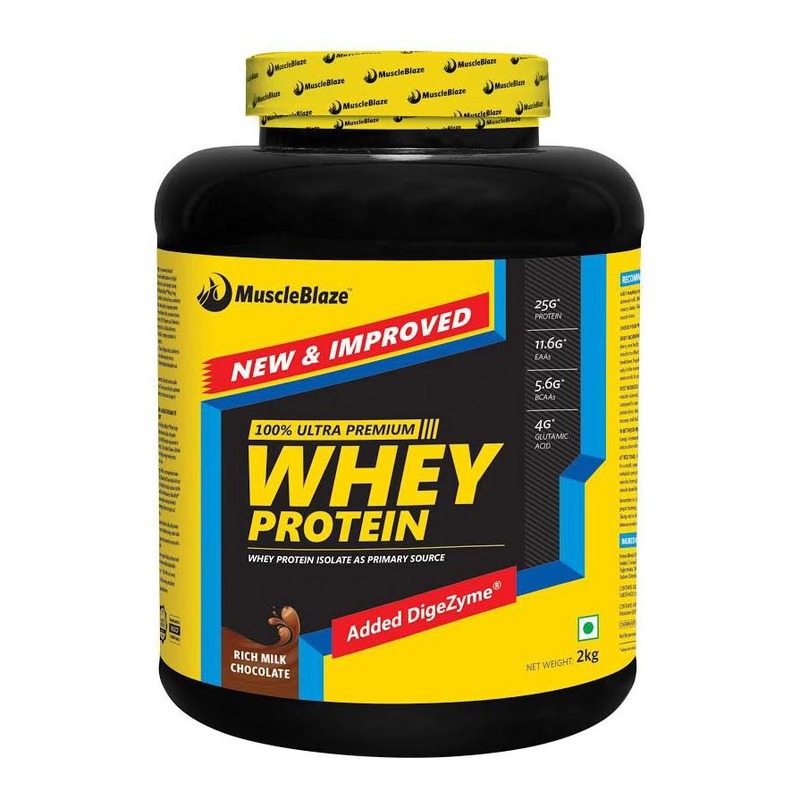 Important Notice:This is to bring to your notice that we are in the process of changing our MRPs for select Whey Products. Given, we are present in multiple channels, you might find products with higher MRPs as well, especially in offline channels. However, keeping consumer interest in mind we have decided to pass on the benefit of revised MRPs with immediate effect.